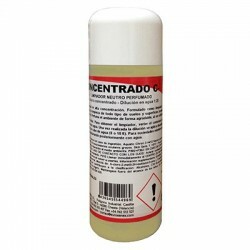 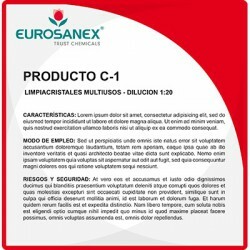 The CONCENTRADO C-6 air freshener is a high-quality air freshener, very effective in all kinds of settings of professional hygiene such as offices, schools, hospitals, casinos, cinemas and entertainment venues, night clubs, restaurants, etc. 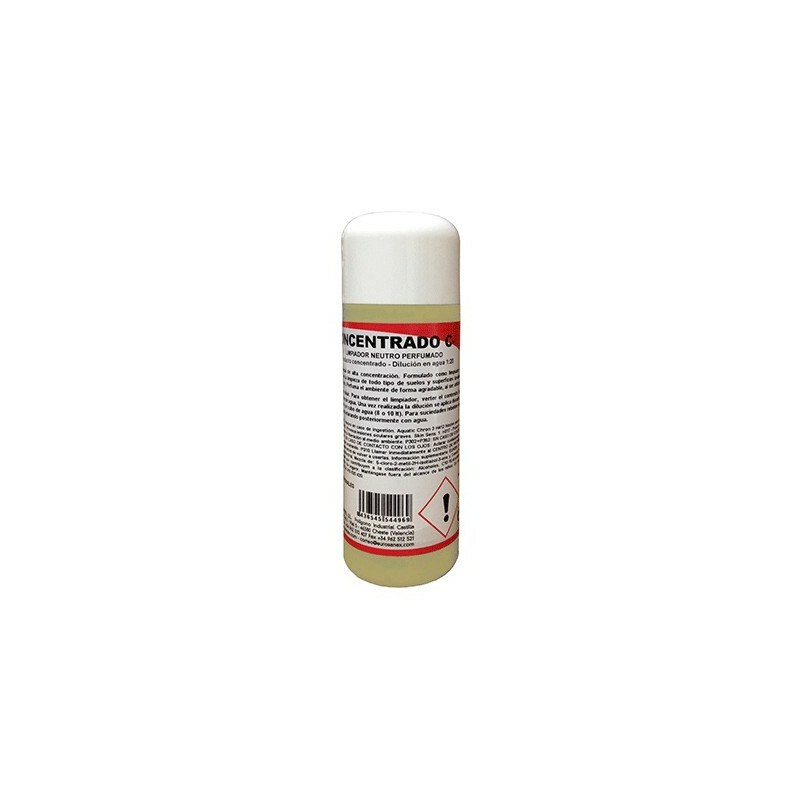 This concentrated air freshener has an anti-tobacco effect and perfumes, deodorises and refreshes the atmosphere, with a fresh and pleasant scent. 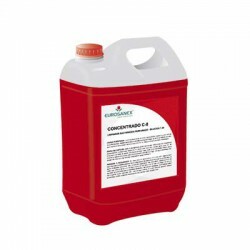 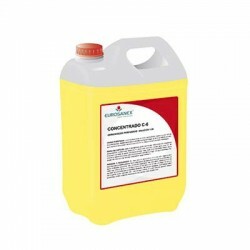 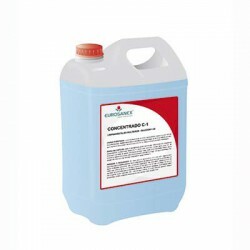 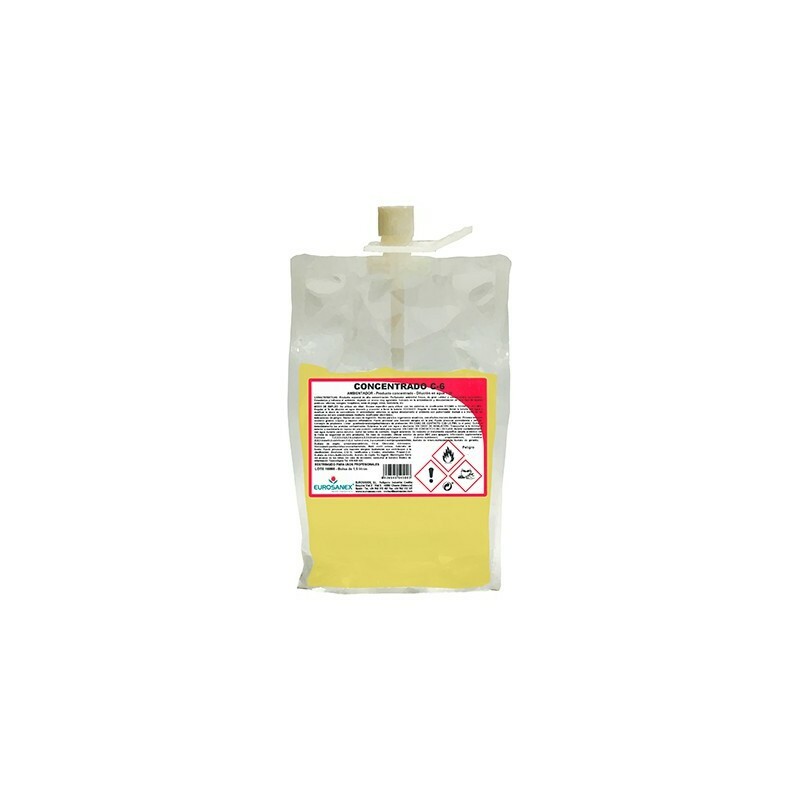 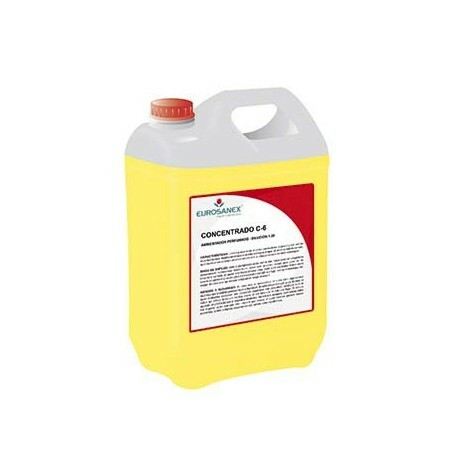 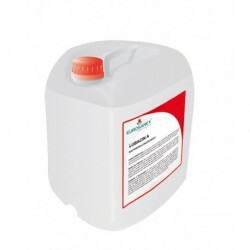 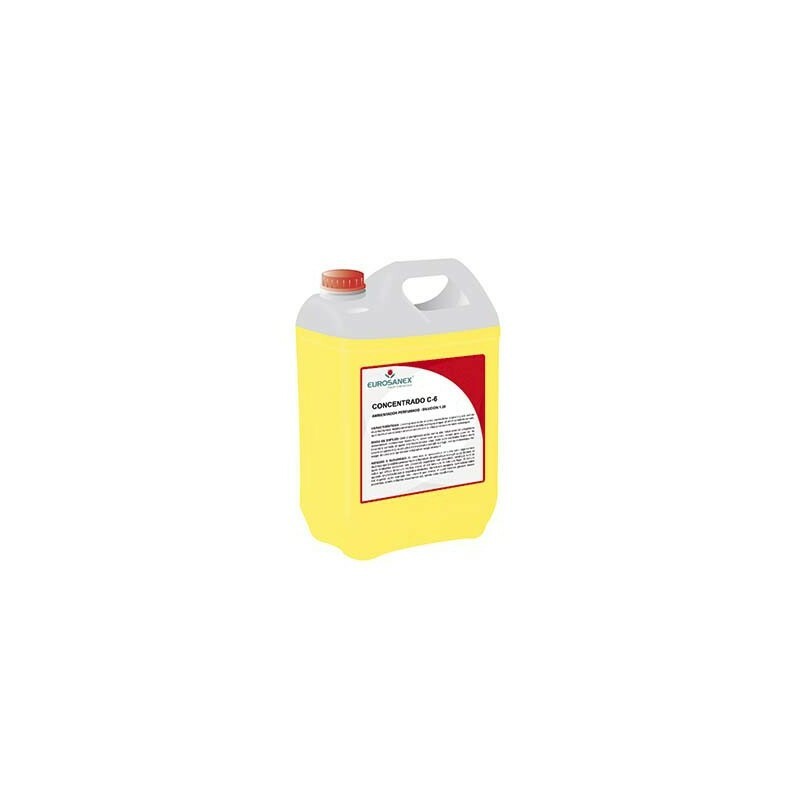 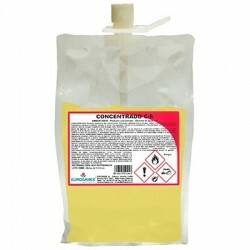 The product is available in 250-ml, 5-litreÂ containers and 1.5-litreÂ pouches, which are indicated for both the ECOMIX and ECOSHOT dosage systems.1.5-litre pouches should be kept in the cabinet intended for such purpose, making up a protected dosage equipment with an unbeatable presentation. Dissolve in water manually or automatically in a proportion of 1:20 (1 part product per 20 water).Example: 250 ml (1 cup) of product to obtain 5 litres of ready-to-use air freshener. Once diluted, use normally: spray manually or spread with an electronic dosifier using the air conditioning vents.